Law Offices of Robert E. O'Connor, P.C. At the Law Offices of Robert E. O'Connor, P.C., our commitment to reasonable prices, honesty and customer service is the foundation of our practice. When you confront the justice system in Pennsylvania or New Jersey, it's best to have a seasoned attorney to help you navigate the law. With his 16 years of experience, Robert E. O'Connor is ready to serve as your legal advocate. Our law firm is a multi-state general practice. 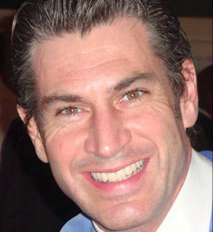 Robert has been admitted to practice law in Pennsylvania and New Jersey since 1996. For his professionalism and ethics, he has earned a BV Distinguished Peer Review Rating by Martindale-Hubbell. The Law Offices of Robert E. O'Connor, P.C. can help you with: -Divorce -Custody -Child Support -Civil Litigation -Criminal Defense -Municipal Law -Real Estate -Estate planning An unwavering commitment to our clients: The Law Offices of Robert E. O'Connor, P.C. focuses on family law, municipal law, criminal law, estate planning, real estate and civil litigation. My familiarity with state and federal legislation, combined with my assertive approach to pursuing your interests, enables me to tailor solutions that best work for your unique situation. We are here to help you make wise legal decisions and to provide necessary assistance. The dissolution of a marriage involves crucial decisions about the welfare of your children and the equitable division of your assets. Attorney Robert E. O'Connor has 16 years of experience in divorce law. We consider all aspects of your divorce case to develop the best possible solutions regarding: -Child custody and visitation rights -Child support -Distribution of personal property, bank accounts, stocks and other assets -Division of marital debts -Sale or possession of the marital home -Spousal support and temporary support Effective family law mediator: Mediation gives you and your spouse the opportunity to negotiate a divorce settlement in a structured setting through a trained facilitator. The mediation process fosters cooperation between partners and removes the unpredictability and uncertainty associated with litigation. Mediation often reduces the time and costs of divorce, and puts the decisions in your hands. Robert can help you obtain the most equitable divorce settlement, fair child support agreement and healthy child custody arrangement. Skilled family law litigator: Sometimes litigation is necessary to reach a just and equitable resolution to your family's disputes. Through tactical trial strategies and professional courtroom presence, Robert successfully represents clients throughout the adversarial litigation process. He is prepared to handle the complex aspects of your divorce methodically to obtain the most favorable trial outcome. Mr. O'Connor is BV Distinguished Peer Review Rated by Martindale-Hubbell for his professionalism and ethics.